Billboard companies spent $507,000 lobbying Los Angeles city officials in the first quarter of 2016, according to City Ethics Commission records. Those companies and their executives also donated a total of $9,100 to six city councilmembers running for re-election in 2017. As usual, the big spender was Clear Channel Outdoor, which paid four different lobbying firms a total of $240,000. The company, one of the city’s big three along with Outfront Media and Lamar Advertising, has been pushing the City Council to lift the current ban on putting up new digital billboards or converting existing billboards to digital. Other companies with major outlays to registered lobbyists were Regency Outdoor, $56,000; Outfront Media, $53,000; and Lamar Advertising, $37,500. The three companies are also members of the L.A. Outdoor Advertising Coalition, which spent $50,000 lobbying city officials on behalf of billboard issues during the quarter. 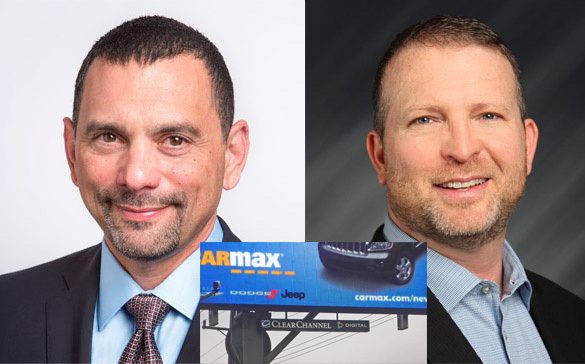 The city councilmembers getting billboard company contributions were Bob Blumenfield, Joe Buscaino, Gil Cedillo, Mitch O’Farrell, and Curren Price. O’Farrell was the top recipient of this largesse, with $3,500 in contributions. Cedillo and Blumenfield each received $2,100, while Buscaino, and Price each got $700 donations. Cedillo is a member of the council committee that considers sign legislation, and has proposed allowing new digital billboards through a conditional use permit process. The others haven’t taken a public stand on the issue, although O’Farrell and Blumenfield both represent districts with significant anti-billboard sentiment. Registered lobbying firms are required to make quarterly reports of payments received from clients, but those reports don’t include any detailed information about lobbyist contacts with elected and appointed officials. However, the City Ethics Commission is currently studying proposed changes in the lobbying ordinance, including a requirement for much more detailed reporting.